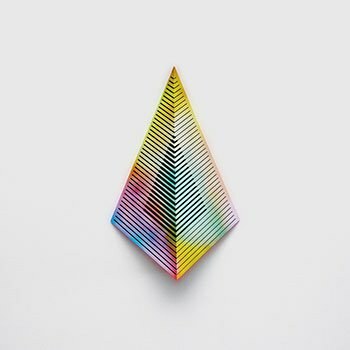 Kiasmos creates a spellbinding, affecting electronic EP with songs that are given space to bloom. The Icelandic duo of Olafur Arnalds and Janus Rasmussen, aka Kiasmos, is a perfect example of a pair of artists coming from two very different musical backgrounds, finding an unmistakable common ground to create something genuinely distinctive. Arnalds, more known for his minimal piano and string work, and Rasmussen, approaching from a more electropop direction, have successfully explored the middle ground between their different musical approaches and in doing so crafted affecting minimalist electronic music. Blurred is the duo's first new material since their 2015 Swept EP and consists of four original tracks and two mixes from Bonobo and Stimming. Originally the band hoped to probe the darkness in their work, but upon returning to their hometown of Reykjavik, they soon found themselves struck with a bright, airy confidence. The finished result is a vivid collection of ambient, textured mood pieces that lightly tease you in. The EP opens with the wondrous, twinkling keys of “Shed” which soon morphs into an ambient, plaintive piece. As the bright, airy soundscape shifts and swirls like wispy clouds on a summer’s day, notes begin to trickle like warm summer rain. “Blurred” is equally immersive but adds a simple drum beat and clean, piano chords. The duo cleverly contrasts the minimalist techno atmospherics by looping in the organic sounds of guitar and violin figures. Soon the track slinks away only to swell again with washes of lush, oscillating synths that gently fall away. It’s an almost transcendental experience with the electronic sounds mirroring the calm of nature. Similarly, “Jarred” circulates through the panoramic landscape that the pair evokes but this time driven by jangling percussion. “Paused” adds heartbreakingly fragile, minor-key piano chords that stir the emotions as they invite self-reflection. Like all of the tracks on the album, the unhurried nature of the song allows it to slowly envelop you, leaving you disconnected from time and place. On the remixes, Bonobo strips away the piano on “Blurred” and lightly animates it with a techno pulse. It gives the song a more dancefloor-ready edge while retaining the pervading sense of majesty and wonder. The second remix sees German electronic artist, Stimming, buffing “Paused” into a shining piece of minimalistic tech-house. He displays a graceful deftness of touch as he adds multiple layers of percussion that remain respectful to the vision of the original. Blurred is one of the most emotionally engaging electronic releases of the year. The duo is working from a refined and bright sonic palette as they consummately layer fine, measured sounds together. It is an intricate yet unforced and natural sounding set of songs with every song allowed room to bloom gradually.